The development of psychotherapy has been based on psychological theories and clinical effects. However, an investigation of the neurobiological mechanisms of psychological interventions is also needed in order to improve indication and prognosis, inform the choice of parallel pharmacotherapy, provide outcome measures and potentially even aid the development of new treatment protocols. 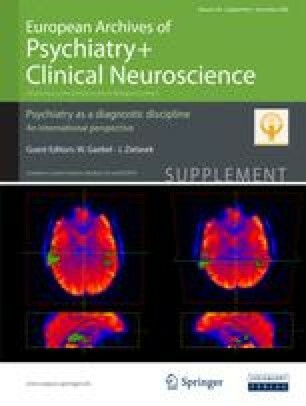 This neurobiological investigation can be informed by animal models, for example of learning and conditioning, but will essentially need the non-invasive techniques of functional neuroimaging in order to assess psychotherapy effects on patients’ brains, which will be reviewed here. Most research so far has been conducted in obsessive compulsive disorder (OCD), anxiety disorders and depression. Effects in OCD were particularly exciting in that both cognitive behavioural therapy and medication with a selective serotonin inhibitor led to a reduction in blood flow in the caudate nucleus. In phobia, brief courses of behavioural therapy produced marked reductions of paralimbic responses to offensive stimuli in line with the clinical improvement. Findings in depression are less consistent, with both increases and decreases in prefrontal metabolism being reported. However, they are important in pointing to different mechanisms for the clinical effects of pharmacotherapy (more “bottom up”) and psychotherapy (more “top down”). For the future it would be desirable if the findings of psychotherapy changes to brain activation patterns were confirmed in larger groups with homogenous imaging protocols. Functional imaging has already made great contributions to the understanding of the neural correlates of psychopathology. For example, evidence converges to suggest that the subgenual cingulate is crucial for mood regulation. One current clinical application of these findings is deep brain stimulation in areas highlighted by such imaging studies. I will discuss their initial application in depression and OCD, and suggest potential alternative options based on recent developments in neurofeedback technology. The author has received honoraria for a book chapter by the Schattauer Verlag.